Our annual Christmas Concert will be held at the beautiful church of St Giles Cripplegate in the heart of the Barbican centre on Saturday 15th December at 7pm. 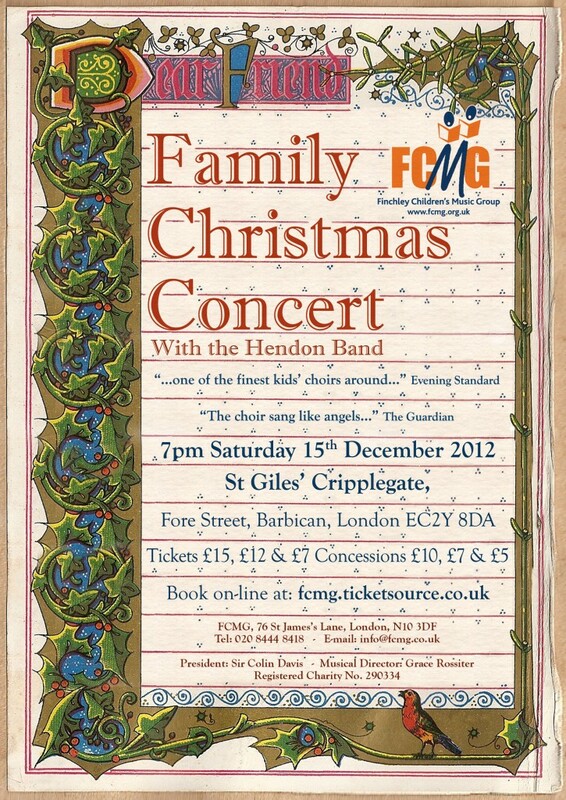 All FCMG choirs will be taking part and we will be joined by brass players from the Hendon Band. Tickets will go on sale on 25th November – available at Sunday rehearsals and on-line at fcmg.ticketsource.co.uk.